If you’re the kind of politically-minded soul who loves the thrill of election season, then the next few months are bound to leave you with plenty of headlines, rallies, and books about the political parties to feed your pavement-pounding spirit (and if the Democrat-versus-Republican party divide has left you totally burnt out, you’re not alone — the 2016 race for the White House has been nothing if not a roller coaster ride, at least for some soon-to-be voters.) The good news is, if you fall into the former category, there’s a long road left to go between now and election day on Tuesday, Nov. 8 — plenty of time for you to get your fill of politics, including some of these nonfiction books about the Democratic Party. From books about the history of the Democrats, to why the Clinton e-mail “scandal” is hardly as scandal at all (or is it? ), to what some of history’s favorite Dems liked to drink on their evenings off, the books on this list have a little something for every book-lovin’ Democrat. Plus, the more knowledge you can take with you into your polling center, the better — am I right? Check out these 11 nonfiction books about the Democratic Party. And definitely don’t forget to cast your vote on November 8! Well, if nothing else that’s a book cover for you. One of the few titles on this list that addresses the 2016 election directly (because haven’t we had quite enough of that already?) James Carville’s We're Still Right They're Still Wrong celebrates Democrats, while simultaneously laying bare everything that’s gone wrong for the GOP in the 2016 election, and the long, pot-hole filled road that took the “Party of Lincoln” to the “Party of Donald Trump”. Plus, if you haven’t gotten your fill of political opinions on the Clinton e-mail scandal yet, Carville weighs in. 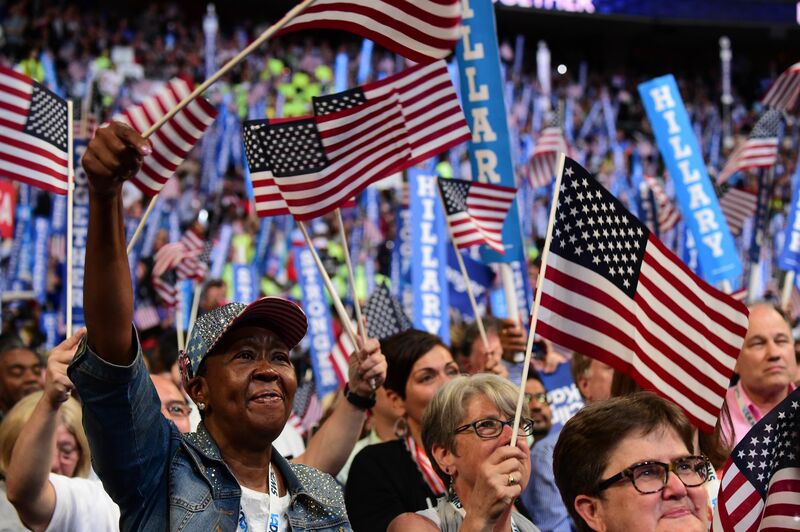 Tracing the history of the Democratic Party through its presidents and other prominent leaders, political chronicler Jules Witcover describes the evolution of the Party from the days of Thomas Jefferson to the Democrats of the new millennium. Needless to say, a lot has happened since Party of the People: A History of the Democrats hit bookshelves in 2003, but it’s a great read for anyone interested in the origins and history of the Democratic Party. In 1984 Al From led the charge to form the Democratic Leadership Council — a political organization of governors, senators, and members of Congress that was designed to revive the then-dormant Democratic Party, which at the time hadn’t won a presidential election in over a decade. And the chairman of the DLC was none other than soon-to-be First Gentleman Bill Clinton. In The New Democrats and the Return to Power Al From outlines the principles of the New Democrat movement, and demonstrates how it led to the success of the Democratic party today. If you’re around my age, chances are you weren’t even born when George McGovern ran for president, let alone old enough to remember his loss to Richard Nixon in the 1972 presidential election. Regardless, his book What It Means to Be a Democrat acts as a call to action for all Democrats, no matter what election you might be voting in — reminding party members and politicians alike not to sacrifice long-held principles in favor of portraying a more popular, "only-slightly-left-of-center" image. Published in 2003 and considered one of the greatest political biographies ever written, Master of the Senate by Robert A. Caro captures the life and times of Lyndon B. Johnson during his twelve years serving in the Senate, from 1949 through 1960 — most notably his ability to become the youngest Senate Majority Leader in history, and then using that platform to pass the first Civil Rights legislation the United States had seen in generations. Although not exclusively about the Democratic Party, this book is a must-read for anyone who has found themselves starring at a CNN broadcast many an evening this election season, pulling at their hair and shouting: “Why? !” In The Parties Versus the People: How to Turn Republicans and Democrats into Americans , former congressman Mickey Edwards explores the damage that constant partisan warfare does to our political system and offers solutions — valuable to Democrats and Republicans alike. Because if the 2016 race for the White House isn’t already leaving you with a craving for a cocktail, it almost definitely will be soon. Drinking with the Democrats: The Party Animal's History of Liberal Libations is a fun, absurd book filled with recipes and anecdotes about the drinking lives of some of history’s most memorable Democrats. Party conventions sure have changed since the days when Norman Mailer was covering them in 1968… or have they? I mean sure, there are more fog machines circa 2016 — but isn’t the inherent message and subsequent media coverage basically the same? In a nation dealing with not only the Vietnam War, but both MLK and JFK’s assassinations as well, the conventions of Mailer’s 1968 were just as vitriolic and divided as they are today. And in addition to offering a well-reported and compelling perspective on the conventions of 1968, Miami and the Siege of Chicago: An Informal History of the Republican and Democratic Conventions of 1968 will remind you that while history is long, our current era too shall pass. If anyone can renew your faith in the American political system, it’s Ruth Bader Ginsburg (although we’re totally wishing she hadn’t retracted those criticisms of Donald Trump.) Supreme Court Justice, unrelenting feminist, fierce civil rights advocate, and all-around political badass, you’ll love reading about the life and work of the ever-notorious RBG in this inspirational biography. Hunter S. Thompson’s Rolling Stone magazine coverage of the 1972 election campaigns of President Richard M. Nixon and Senator George S. McGovern is everything you’d expect from the writer who invented Gonzo journalism. By dissecting each candidate’s campaign, Thompson’s Fear and Loathing on the Campaign Trail ‘72 paints a portrait of an American election season that is equal parts fascinating and disconcerting (sound familiar? ).